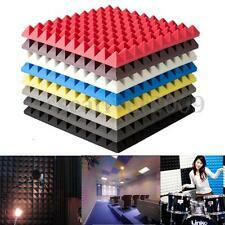 1 x Soundproof foam. It may, for example BASSTRAP combined together with the other products, consisting of a wide band absorber, the effect is very good. Specifications: Material: Sponge. soft sponge, no dust, high density;. Pattern;Madad Khani. This is a very beautiful rug which will light up your whole room. These rugs are known by their thickly woven structure and repetitive pattern. Origin : Afghanistan. Beautiful hand knotted Baluch rug.It is a really high quality rare baluch tribal carpet,all hand spoon and very soft wool. Generally it is in the tribal tradition that one is likely to find most of the pictorial rugs. The carpet has other interesting natural colors as well. Pattern : Prayer rug. Beautiful hand knotted Baluch rug.It is a really high quality rare baluch tribal carpet,all hand spoon and very soft wool. 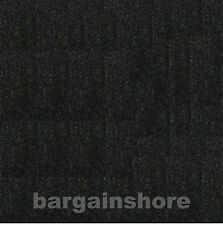 Carpet end length: 4-7/8" and Carpet end width: 5-1/8". Pattern : Prayer rug. Beautiful hand knotted Baluch rug.It is a really high quality rare baluch tribal carpet,all hand spoon and very soft wool. The carpet has other interesting natural colors as well. Pattern : Kazak. Caucasian rugs are made in one of two of major rug producing areas in central Asia (the other is Turkoman) and are both recognize for the high quality weaves of their respective nomadic tribes. These are tribal hand-woven rugs made in the southern part of nomadic Baluch tribes. They frequently have either an overall pattern, or a prayer rug design. Beautiful hand knotted War Tang top Pattern Rug. Origin :Baghlan Afghanistan. Panoramas, Palaces, and Landscapes. War Scenes. These depicted battle tanks, helicopters, fighter planes, hand grenades, rifles etc, as the weavers tried to weave into their rugs what they were seeing around them. Maximum length: 21-1/2", minimum length 18-1/2", carpet end length:4-7/8", carpet end width:5-1/8". DIY carpet like a professional. Teeth construction: plated steel. 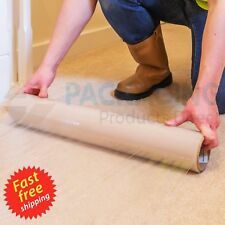 16 FOOT 45" wide high quality carpet liner. Ideal for many project and wall covering. Resists stains, mold, and mildew. 36" X 1" Injection Hook and Loop Strip With 3M® Adhesive. POLYMAT BACKED CARPET. • May have had a rubberized 'foot' but now has a piece of carpeting in place as a 'foot'. KNOB IS STUCK ON SETTING #2 - Has settings 1-4. • From retired carpet installer - see if we have other tools still available. War Scenes. These depicted battle tanks, helicopters, fighter planes, hand grenades, rifles etc, as the weavers tried to weave into their rugs what they were seeing around them. This is a very beautiful war rug which will light up your whole room. The carpet has other interesting natural colors as well. Pattern : Prayer Mosque. Beautiful hand knotted Baluch rug.It is a really high quality rare baluch tribal carpet,all hand spoon and very soft wool. Pattern : Pictorial. The carpet has other interesting natural colors as well. This is a very beautiful rug which will light up your whole room. The rug is in Good condition. The rug has been ready for use or Display. Pattern : Ali Khowaja. Beautiful hand knotted Baluch rug.It is a really high quality rare baluch tribal carpet,all hand spoon and very soft wool. Material: Wool. Foundation : Wool. This is a very beautiful rug which will light up your whole room. The most popular knee kicker and has been the industry standard for over 25 years. Trigger assembly easily adjusts the length from 17" to 21". Exclusive non-slip checkered hand grip. Easy to read, easy to adjust pin depth dial. The carpet has other interesting natural colors as well. This is a very beautiful rug which will light up your whole room. The rug is in Good condition. The rug has been ready for use or display. The rug has excellent colors. Carpets that were made in the 16th and 17th century are fully comparable with the Persian carpets. Humans and animals are not portrayed since the Quran does not allow this. This is a very beautiful rug which will light up your whole room. Kilims are produced by tightly interweaving the warp and weft strands of the weave to produce a flat surface with no pile. Most kilim weaves are "weft-facing the horizontal weft strands are pulled tightly downward so that they hide the vertical warp strands. Beautiful hand knotted War Tang top Pattern Rug. War Scenes. These depicted battle tanks, helicopters, fighter planes, hand grenades, rifles etc, as the weavers tried to weave into their rugs what they were seeing around them. War Scenes. These depicted battle tanks, helicopters, fighter planes, hand grenades, rifles etc, as the weavers tried to weave into their rugs what they were seeing around them. Origin :Baghlan Afghanistan. Resists stains, mold, and mildew. 20 FOOT X 3.75" wide high quality carpet liner. 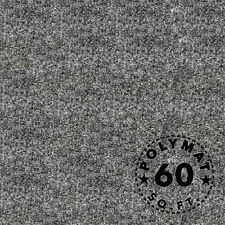 POLYMAT BACKED CARPET. Easy to cut, fit, and mold to desired shape or size. Backed with a thin layer of latex. High resistance to gas, oil, and salt. Pattern : Dukhtar Qazi. The carpet has other interesting natural colors as well. This is a very beautiful rug which will light up your whole room. The rug is in Good condition. The rug has been ready for use or Display. Widely used in bathroom, kitchen, living room, bedroom, balcony etc. Made of high quality flannel material, soft and elastic. Material: Flannel. Strong water absorbent and non-slip. 1 Non-slip Mat. The carpet has other interesting natural colors as well. Pattern : Pictorial. This is a very beautiful rug which will light up your whole room. Beautiful hand knotted Baluch rug.It is a really high quality rare baluch tribal carpet,all hand spoon and very soft wool. The Laila Majnun design. The carpet has other interesting natural colors as well. This is a very beautiful rug which will light up your whole room. The rug is in Good condition. The rug has been ready for use or Display. Generally it is in the tribal tradition that one is likely to find most of the pictorial rugs. The most common pictorial motifs are Pattern : Tree of Life (Pictorial). The carpet has other interesting natural colors as well. The Laila Majnun design. Generally it is in the tribal tradition that one is likely to find most of the pictorial rugs. The most common pictorial motifs are Beautiful hand knotted Baluch rug.It is a really high quality rare baluch tribal carpet,all hand spoon and very soft wool. Panoramas, Palaces, and Landscapes. War Scenes. These depicted battle tanks, helicopters, fighter planes, hand grenades, rifles etc, as the weavers tried to weave into their rugs what they were seeing around them. The carpet has other interesting natural colors as well. This is a very beautiful rug which will light up your whole room. Pattern : Prayer rug. The rug is in Good condition. The rug has been ready for use or Display. B.The Omar Khayam design. The carpet has other interesting natural colors as well. Beautiful hand knotted Baluch rug.It is a really high quality rare baluch tribal carpet,all hand spoon and very soft wool. This is a very beautiful rug which will light up your whole room. The rug has excellent colors. (White with Red Combination). The rug is in Excellent condition. The rug has been ready for use or display. Pattern : Pictorial. The carpet has other interesting natural colors as well. This is a very beautiful rug which will light up your whole room. The rug has been ready for use or Display. The rug is in Good condition. This is a very beautiful rug which will light up your whole room. The rug has excellent colors. (Red with Gold Combination). The rug is in Excellent condition. The rug has been ready for use or display. Knee Kicker Karpet stretcher #600 from the Crain Cutter Co., Inc. It works great, the dial extends the spikes making longer to grip the carpet while kicking. If you install, reinstall or make carpet repairs, you need one of these. Bungee it to your van wall and it is ready when you are. The Laila Majnu design. Pattern : Laila Majnu. The carpet has other interesting natural colors as well. This is a very beautiful rug which will light up your whole room. Beautiful hand knotted Baluch rug.It is a really high quality rare baluch tribal carpet,all hand spoon and very soft wool. This is a very beautiful rug which will light up your whole room. Pattern :Portrait. It is a really high quality famous baghlan tribal carpet,all handspun and very soft sheep wool. The Omar Khayam design. These rugs are known by their thickly woven structure and repetitive pattern. This is a very beautiful rug which will light up your whole room. Pattern;Madad Khani. Origin : Afghanistan.